The all new FIH Pro League has started in electrifying fashion, with goals and excitement aplenty. This was highlighted no better than when Great Britain’s men dramatically defeated Spain 6-5 in their first game, coming back from 4-1 down. Great Britain’s women’s side will make their FIH Pro League bow at 4am GMT on Friday 8 February while the men’s team will be action straight after as the Black Sticks host their third double header of the tournament. GB men looking to build on exciting opening victoryWith Olympic qualification being heavily based on success in the FIH Pro League, every game in this tournament really does matter. And that much was evident as GB’s men fought valiantly throughout their match against Spain to come back from 4-1 down to win 6-5. Adam Dixon recorded a brace with Zach Wallace, Mark Gleghorne, Phil Roper and David Condon also getting on the scoresheet. At the other end, George Pinner kept out three final minute corners to secure a sensational victory and fire Great Britain to the summit of the men’s FIH Pro League table at the time of writing. Five new faces have come into Danny Kerry’s squad from that game for the Oceania tour – Will Calnan, Lee Morton, Josh Pavis, Ian Sloan and Ollie Willars – and will be looking to make an impact. GB came out on top the last time the two sides met, recording a 3-2 victory in the 2017 Sultan Azlan Shah Cup, with Sam Ward and Phil Roper getting on the scoresheet in that game. New era set to begin for GB womenGoing into their FIH Pro League debut match, GB’s women will be hoping to follow the men’s lead but know it will be a tough order to beat New Zealand. However with newly appointed head coach Mark Hager – previously in charge of the Black Sticks – meeting up with the squad when the team land in the country, expect them to give their opponents a really close game. 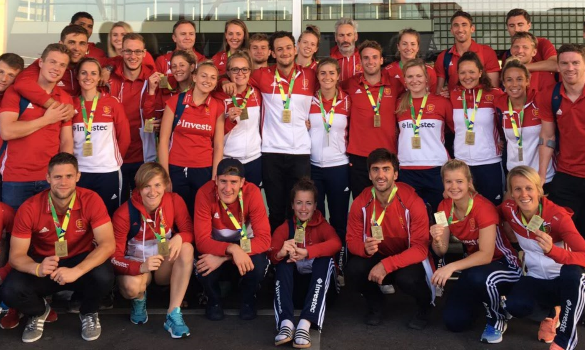 The Great Britain squad named to face the Black Sticks contains only three players from the victorious Rio 2016 side, with a number of young players having the opportunity to shine on the international stage. Hollie Pearne-Webb will lead the side and her experience will be vitally important not just for this game but for the whole tour, which sees GB then take on Australia (16 February) and China (23 February). With a squad containing three new faces in Lizzie Neal, Holly Hunt and Holly Munro – who are all in line to make their senior international debuts – the New Zealand match will be an exciting test for this new wave of talent. GB emphatically defeated New Zealand the last time they met with Giselle Ansley, Hollie Pearne-Webb and Lily Owsley all featuring in the 3-0 semi-final victory at Rio 2016. 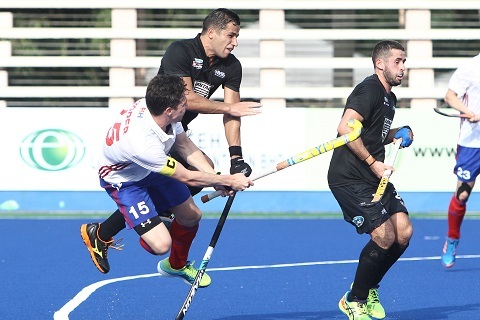 Tough start to FIH Pro League for New ZealandRegarded as one of the powerhouses of world hockey, New Zealand will pose a tough test for the GB teams as the women won the Commonwealth title back in April, while the men claimed silver. However both sides have not made the starts they wanted in the FIH Pro League, with the men only collecting one point and the women yet to get off the mark after two matches each. Both sides fell to a one goal defeat in their opening matches against The Netherlands, although the men nearly pulled off a remarkable comeback having drawn level after being 3-0 down to their European opponents. However Thierry Brinkman’s late strike ensured victory for the Dutch, whose women’s team battled to a 1-0 win over the Black Sticks later in the day. 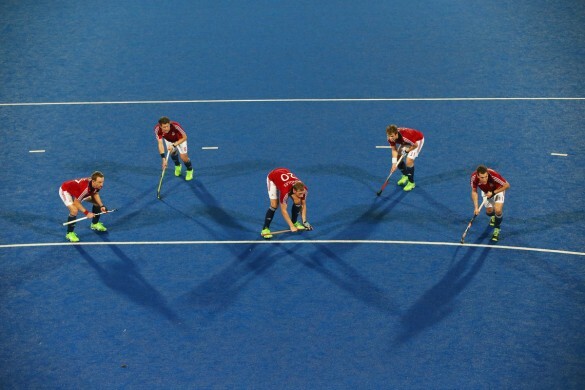 Their men’s team then faced a similar story in their second game against Belgium, once again coming from behind to draw 4-4 with Belgium and take the game to a shootout and secure their first point of the tournament. However it was the newly crowned men’s world champions who came out on top. It was another narrow loss for their women too as a late Jill Boon strike saw them surprisingly lose to Belgium, meaning that combined the two teams have just one point between them from their opening matches. You will be able to watch GB’s women and men take on New Zealand from 4am GMT on Friday 8 February live on BT Sport. The full GB women’s squad for their first three games can be found by clicking here while you can also view the men’s side for their trips to New Zealand and Australia here. You can also read our FAQs on this exciting new tournament here.